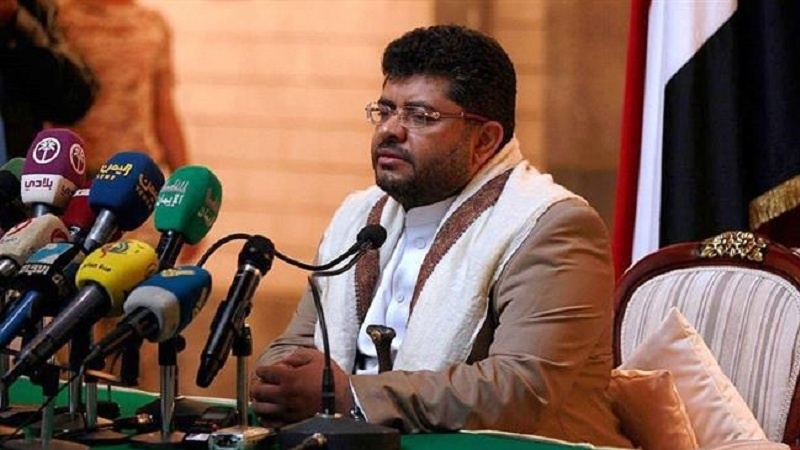 The chairman of the Supreme Revolutionary Committee of Yemen, Mohammed Ali al-Houthi, has vehemently condemned a recent deadly airstrike by Saudi warplanes on a bus carrying schoolchildren in the country’s northwestern province of Sa’ada, stating that the United States bears full responsibility for the carnage. “We hold the United States of America, the Commander-in-Chief of the Saudi-led military alliance against Yemen, and all those who are serving at the coalition, whether they are of Saudi, Emirati or British nationalities, accountable for the massacre in Dhahyan as well as all previous crimes against the Yemeni people,” Houthi said in a speech at a funeral ceremony for the victims of the massacre in the northern city of Sa’ada on Monday. Houthi further noted that the appalling massacre of children in Yemen is a repetition of the atrocities that Americans committed against Japanese people during World War II. The high-ranking Yemeni official then hailed the military might of Yemeni rocket units, stressing that it has sent chills up the enemies’ spine. He said Yemeni ground, naval and air forces will continue their operations against aggressors to convey the message of Yemenis’ resilience and steadfastness. Houthi then expressed his gratitude to all freedom-loving people who commiserated with the Yemeni nation over the carnage in Sa’ada. The airstrike on Thursday hit a bus carrying a group of young schoolchildren attending summer classes of the Holy Qur’an from a summer camp in a busy market area, UN spokesman Farhan Haq said in a statement. According to Yemeni medical sources, 50 people were killed and 77 injured in the strike.